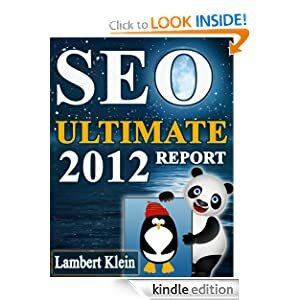 I just downloaded SEO Ultimate 2012 Report: Search Engine Optimization for Today’s Internet & Google for FREE on to my Kindle. I have only just started reading it, but so far it is written in an accessible manner and is very thorough. I don’t know how long the SEO Ultimate 2012 Report it will remain at this price, so check the price before you buy it.